Ok so let me just say up front I am a walker. I walk six days a week, 3 miles each day during the week and 5 on weekends. Saturday I walked 6 miles and held up really well. My goal is to be a runner. Runners are badass!!! I have so much respect for someone who is dedicated to running . Just the discipline it requires is respect worthy. With all that being said, today I decided to start running. Wellllll, it didn’t go as well as I wanted. I would walk then run I did this for a mile. My breathing was ok, my legs were ok but MY FEET!! !, right under the tongue of my shoe killed me!!! What is that and how do I fix it??? Shoes, socks, what?!? Or is it something that will go away with time? Please, someone help me, I am determined to do this!!!!! Good for you and welcome!! Get fitted with the best running shoes you can afford at a running shoe store. Good shoes can help prevent injury. Secondly: stretch after every run and hydrate and never under estimate rest. Congrats on your first run. I’m not sure why it hurt there but just wanted to encourage you to keep it up. Your shoes may be tied to tight there. Your shoes! I had a pair of Nikes that did that to me… Be fitted definitely! Before you start running I encourage you to get the right running shoes for you. It will prevent you from injuries. I started running and come to find out I had a lot of flexibility with my ankles and caused IT band issues. Go get fitted at a running store with really good shoes and inserts…it makes a huge difference! It could be your shoes and it could be something as simple as the tying of your laces. Your feet swell. You can also google the different types of lace tying. Good luck and Congrats on ALL of your efforts!! You are NOT less than because you have been walking! Like above. But experia powered by thorlo socks rock! I swear by them when my feet hurt. And stretch a lot! Key to injury prevention. Soooo proud of you for taking the leap! That’s how we all started! That’s where I still am….run a little….walk a little! walking 3 miles every weekday and 5 on the weekends is more dedicated and badass than many runners. Take the transition to running slowly to avoid injury. 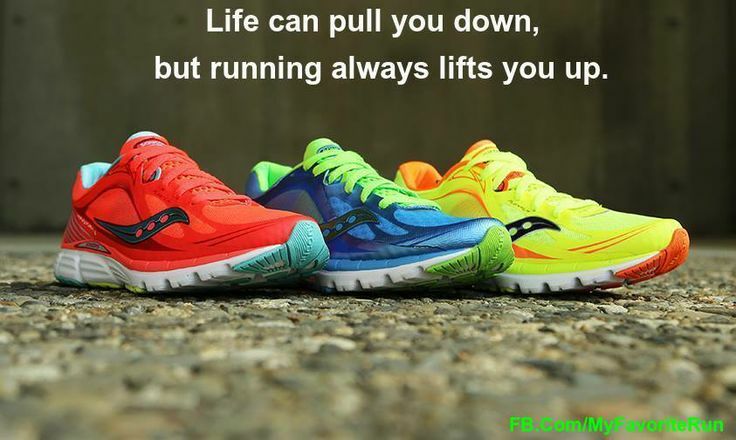 I agree that a good pair of running shoes can make a big difference. I second the above comment. Thorlo experia socks aren’t cheap, but are they ever worth it! And soaking in warm water + epsom salts might help too. You are dedicated and badass! Now, get professionally fitted for the right shoe for you. 🙂 welcome to running! Wish someone had told me about getting fitted when I started! Best… Advice… Ever!!! You are definitely dedicated. I run/walk and it’s been a year now. There are plenty of online programs or apps you can find that gradually build. After being able to run 5ks I decided to go back to run/walk because my body likes that much more:) Now I’m training for my 1st half and conquered 14.3 miles this past Saturday:) I’m 48 years old. Find a local running store, NOT a chain store!lol Memphis happens to have a great one so I’m pretty lucky! Thank ya’ll so much!!! I have been stalking this page for about two weeks now and y’all are where I got my inspiration and determination to start my dream of being a runner. I have not seen a encouraging and close knit group of people anywhere except maybe farmers. Runners and farmers have a lot in common and both are amazing!!!!! A great fitting shoe and listening to your body is all you need. You were already a walking badass! Welcome to running! I also started as a walker and slowly graduated to running. Like everyone has been saying, shoes are important. Good walking shoes aren’t necessarily good running shoes and visa versa. While you’re between walking and running, you might consider some cross trainers. Get fitted at a running store for both shoes and socks. Also check our alternate lacing patterns to eliminate pressure points. Check out the Galloway run-walk-run method. Turned this distance walker into a distance runner. Shoe laces may have just been too tight. Good socks are key! They’re expensive (often but not always) but worth it! I was fitted but had my shoes laced wrong for one run and it felt like you’re describing. Best of luck! I have always been a walker & did a C25K program a year ago & I have been running ever since! I am 56 & love running!! Welcome! Running shoes. When you run your feet naturally swell. Always buy running shoes larger than a nor,al comfortable shoe. Find a running store and get fitted it only gets better. I have to chime in and say that c25k is amazing! You can down load it on your phone and listen to your playlists while you work out. I never thought I could run, I just did a 10k last week. I love the c25k program. I did it three times in a row, got up to a 10 minute mile and trained for a half. You’ve got this. Keep in touch with other runners (new and old) to keep you motivated. good socks are as important as the shoes..get a good runners socks.. good pair are around $15 a pair.. so worth it.. good luck and keep it up! You will also want to get new shoes about every 300 miles or so. Welcome! Since you’re just starting I would recommend Injinji toe socks, a running shoe with a 0 to 4mm heel to toe drop like the Skechers Go Run Ride ($70) and make sure that your shoe laces are loose not tight, your feet will swell, go at least a half size bigger in your shoe. You might want to research the Galloway method too! It’s a run walk program that can transition you from walking to running. I have done 9 half’s and training for more and a full in Jan!! Try different lacing techniques (“google” it). 1/2 size larger is probably best (they’ll tell you when you get fitted). C25K (couch to 5k). Patience. Determination. Mix all ingredients together, bake awhile, and enjoy.